Surge ahead of niche competition by employing this promotional runner shape bottle opener keychain. This keychain is best for promoting businesses such as party supplies, marathon, sports events or spreading awareness messages. This bottle opener keychain makes a reliable party ware and it can be employed as an attention seeker over bags, backpacks or purses. It also makes an affordable anniversary token, wedding favor gift, and emotional parting gift. You can avail discounts on bulk orders of this sports keychain. 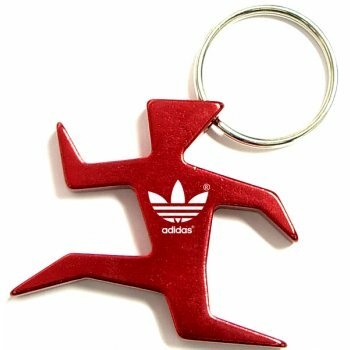 Request a quote to know about price savings on wholesale custom runner shaped bottle opener keychain. Features – Runner shaped aluminum body in metallic finish. 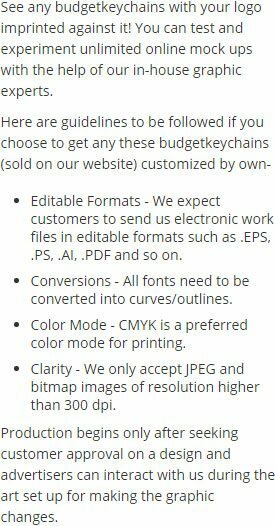 Available Colors - Metallic Black, Metallic Blue, Metallic Gold, Metallic Red, Metallic Green, Metallic Purple and Metallic Silver. Product Size : 1 7/8" x 1 3/4"